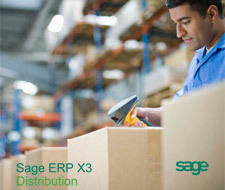 Sage ERP’s are also capable of evolving at the same pace as the sector’s companies, providing solutions to problems and assisting them with new challenges they face. Mobility, radio frequency identification (RFID) technology and Business Intelligence are at the core of new practices and a necessity for successful distribution businesses. However, before rushing into investing in an ERP system you should assess the technological and organizational needs. We hope our resources below will help you identify the key steps you need to take. If you are pressed for time, our IWI Consulting Group team would be happy to help you assess which ERP works best for your business. 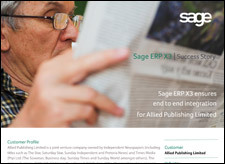 We provide customized assessments that give businesses sustainable ERP systems that have helped turn businesses around. In our experience, most companies save ten to 30 percent on inventory holding costs alone, a considerable ROI in any circumstance.